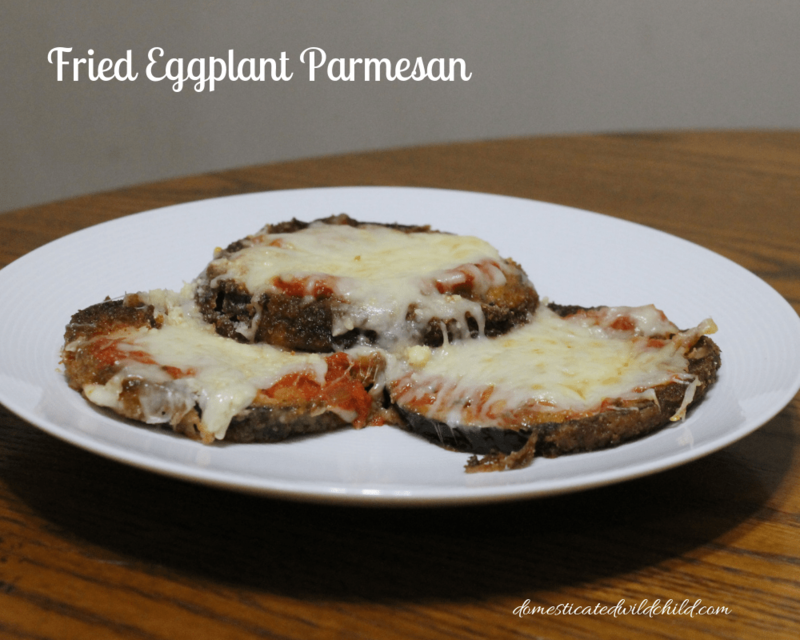 I love how this Fried Eggplant Parmesan comes out. It takes a little bit more prep work but it really makes for a delicious meal. The breaded and fried eggplant really helps bring out the flavor and topped with some homemade marinara sauce (see here) and you are looking at heaven on a plate!